Orange County, NY - As excitement swirls around the new Legoland project in Orange County, some neighbors of the proposed attraction have expressed concern about the mega theme park, including the Village of Kiryas Joel which submitted a FOIL request asking for information regarding the project. The request filed by Whiteman, Osterman & Hanna, LLP, an Albany based law firm on behalf of the village, asked for “originals and drafts of all laws, regulations, ordinances, procedures, correspondence, memoranda, emails, decisions, handwritten or other notes, meeting minutes and/or agendas” of the proposed LEGOLAND project,” as reported by the Epoch Times(http://goo.gl/n5X9lz). A source within the village who asked to remain anonymous said that the village wanted to review the documentation in order to make sure that zoning rules are being applied universally. “Whatever rules apply in Kiryas Joel should apply to Legoland as well,” the source told VIN News. 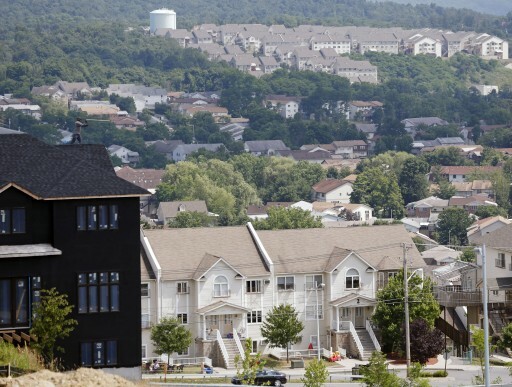 Kiryas Joel has previously been involved in other issues involving land use in Orange County, suing the Town of Woodbury in 2011 over the lack of affordable housing in its zoning plan. This past April, the village sent a notice to local officials indicating its interest in becoming involved in the rezoning and redevelopment of Camp La Guardia, a 258 acre former homeless shelter located in Chester and Blooming Grove. “There is an identified regional need for low to moderate income affordable housing in that area of Orange County and by changing the zoning that would previously have allowed residential development to industrial development, they’re foreclosing a significant opportunity to meet that regional need,” said Sterhous. 1-aynoi doimeh, KJ is residential & legoland is a theme park that'l create jobs. the statement should be if KJ has2 play by the rules, everyone else should should also have to play by the rules. why does Satmar ALWAYS try to antagonize their neighbors? It's part of their MO so they can claim antisemitism wherever they are in the world. Because they are narrow-minded and insular yidden who have no clue as to how to live peacefully with their neighbors. They should be applauding any proposal that will bring entry level jobs to the area since the unemployment rate in KJ is nearly 20 percent, which is triple the state average (and that doesn't include the women who are not counted as looking for work). Instead, the "W" word is really scary to them along with their worry that the zoning laws might be relaxed to facilitate this job-creating project. There is no equivalence between squeezing in another subdivision of ugly shoebox townhouses for more residential development (and more welfare recipients) versus accommodating the needs of a regional tourist destination and employment center. They will never get a job because they can't fill out an application. English is not taught and most can't speak English. I've seen many of their job applications and they leave street and state blank. They don't understand what the word "reference " means. The Satmar in KJ are allergic to jobs. They're not against Legoland at all, but the county keeps suing Kiryas Joel for this and that, by counter suing for irrelevant stuff they get the county to the table to negotiate, it worked in the past.